1. Silicone mouse pad: Silicone Mouse Pad is made of silicone compound by metal stamping. Silicone mouse pad can be set at room temperature, easy to clean, easy to handle. 2. Cloth surface mouse pad: cloth surface mouse pad can be washed directly with water, to avoid direct sunlight, otherwise there will be cracks. Don’t prevent mildew in damp and dark places. It should be used at normal temperature. 3. Rubber mouse pad: the rubber mouse pad can be cleaned with clean water directly, in the ventilation and dry place, such rubber will not be deformed and mouldy, and will not produce odor. 4. Resin mouse pad: Resin mouse pad can be washed with water, easy to handle. Don’t bend too much, because the resin mouse pad itself is fragile. 5. 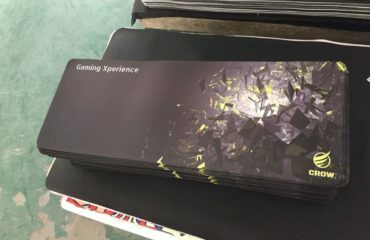 Aluminum mouse pad: Aluminum mouse pad can be washed, easy to take care of, pay attention to dust and sand, keep away from the things, beware of scraping, so that we can prolong the life of the mouse pad made of aluminum. 6. Metal mouse pad: metal mouse pad because of its surface is very smooth, the mouse pad any point of the stain will be fed back to the mobile feeling of the mouse, so the first essential of the metal pad maintenance is to keep the environment clean. With clean chemical fiber material two pieces of square towel, the reason for the use of chemical fiber material small square towel, is because if the use of pure cotton or blended fabric material, some wool will remain on the metal pad, still need two degree of cleaning. How To Select Yoga Mat?